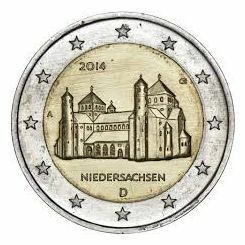 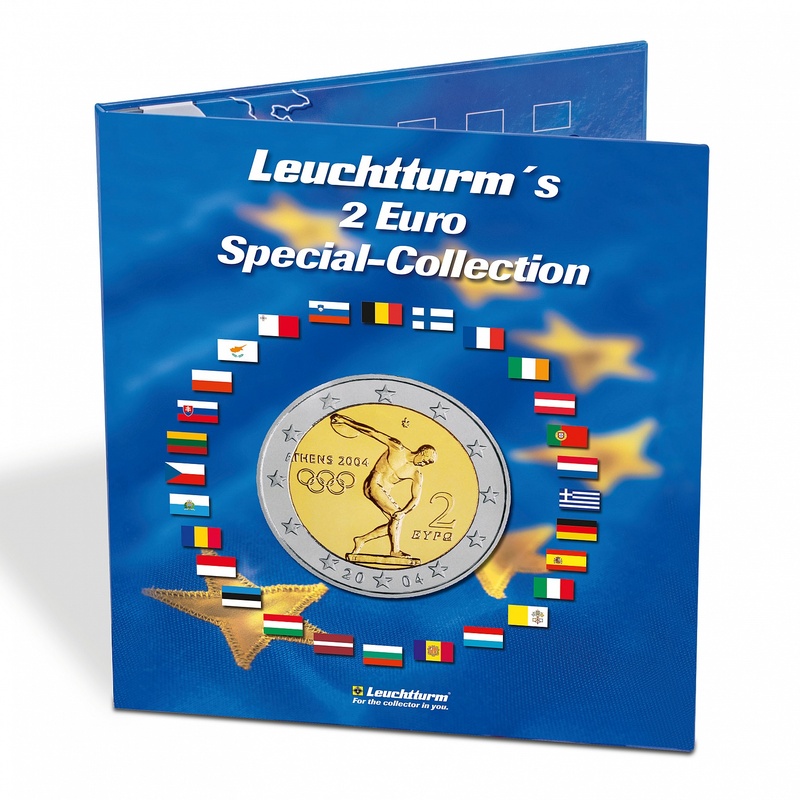 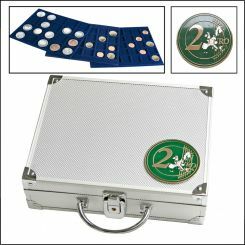 Coin album euro collection made from high-quality, printed strong card featuring cut-outs for 57 2-euro coins, incl. 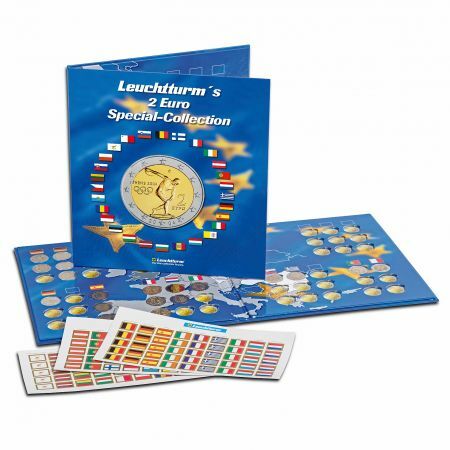 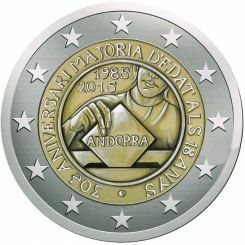 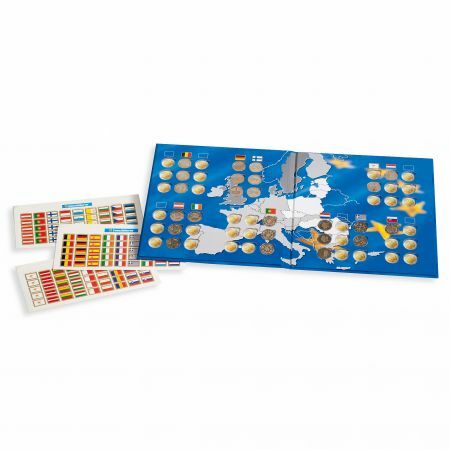 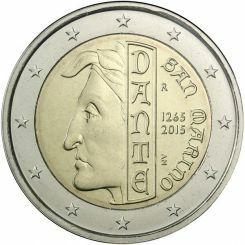 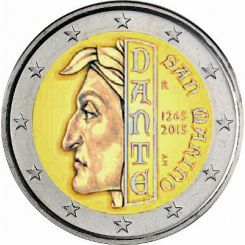 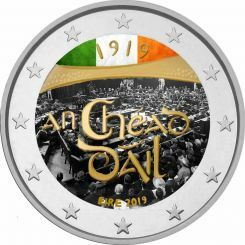 flag stickers for all euro-zone countries for individual identification of 2-euro coins. 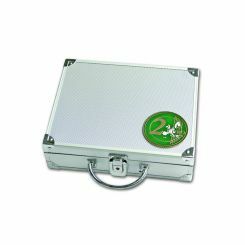 Overall size: 255 x 280 mm (10 x 11").